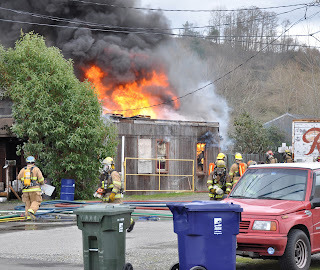 Narrative: At 9:45 a.m. twelve companies of Tacoma Firefighters (seven engines, two ladders, two medic companies, one hazardous materials unit and command staff) responded to a reported commercial structure fire. The first arriving companies found heavy smoke and flames showing from the one story 5,119 square foot former "pallet recycling" storage warehouse and office building. Crews mounted an aggressive interior attack on the fire, but had to retreat to a defensive position, as the buildings roof quickly deteriorated and began to collapse from the fire conditions. 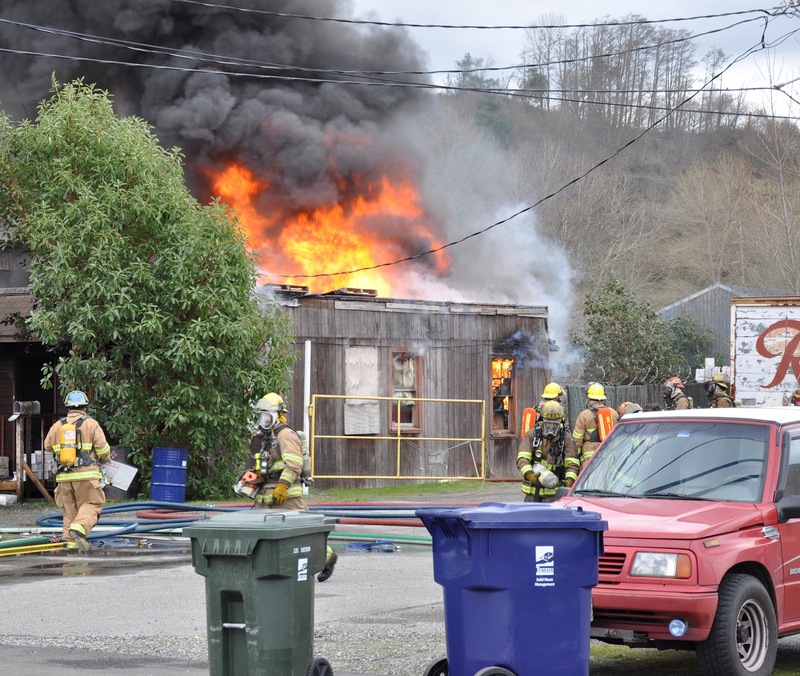 Complicating the incident was the discovery of potentially hazardous materials identified on the premises that required special precautions to be taken while fighting the fire. In a well coordinated effort, fire crews and environmental agencies also worked diligently to contain contaminated waste water from spreading into the Hylebos waterway. The cause of the fire is currently under investigation and it resulted in an estimated $190,000 dollars damage to the building and its contents. There were no injuries to report.